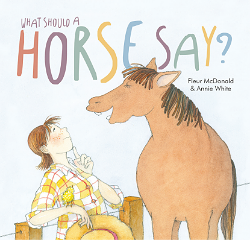 Watch Fleur McDonald read What Should A Horse Say? 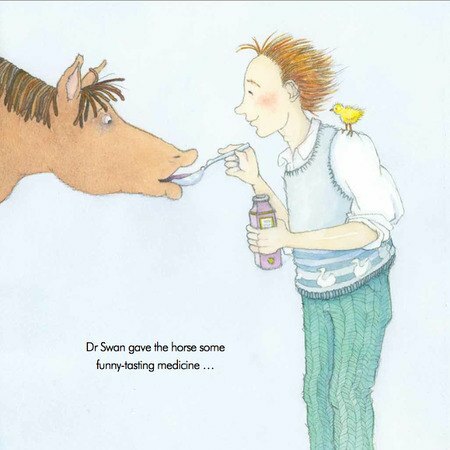 On this page, Dr Swan is giving the unfortunate horse some funny tasting medicine, hoping it will help him to stop saying 'chick chick'. 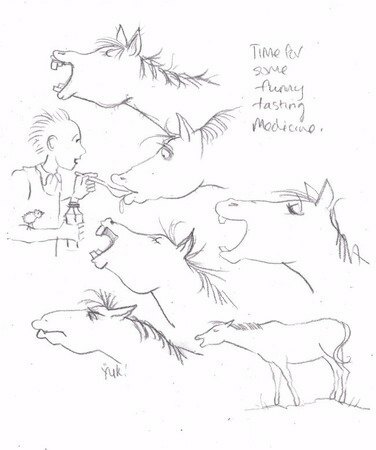 Would the horse be eager to taste the medicine? Does it smell good? Will he open wide? Gargle it? Be totally disgusted? I settled for an expression that was cautious and a bit worried. And because the medicine was funny tasting, I thought it should be purple. 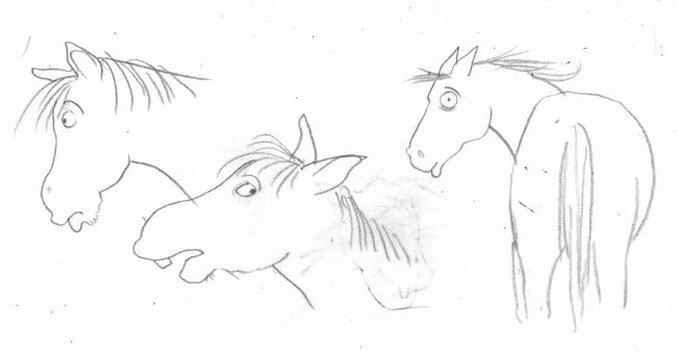 Finally , here are some expressions she tried out for when the poor horse is having their temperature taken, compared to the final artwork where it looks a far less surprising procedure! 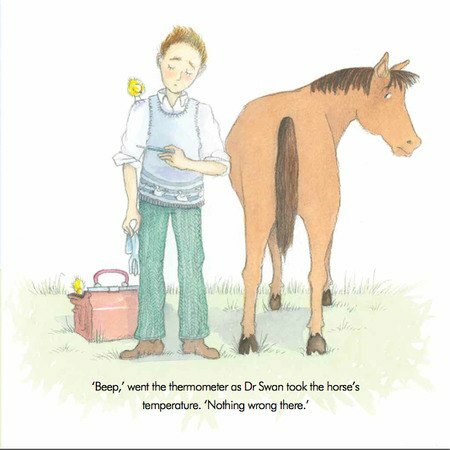 What on earth could be wrong with Farmer Rochelle’s horse? A playful farmyard story full of animal friends and the noises they make.